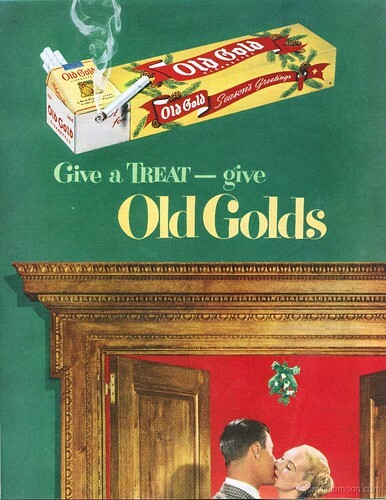 Retrospace: Ads #27: Cigarettes Make Great Stocking Stuffers! 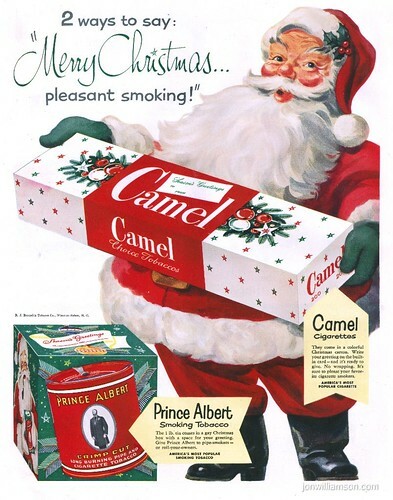 Before the stigma of smoking took hold in America, it wasn't at all unusual to find advertisements picturing Santa Claus taking a drag from a cigarette. There was even a cigarette television commercial featuring Fred Flinstone as a cigarette spokesman. 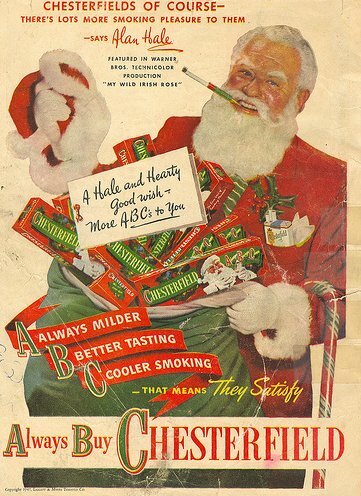 If the idea of a chainsmoking St. Nick horrifies you, it's only because you've been indoctrinated with this mentality- had you been an adult in the mid-sixties, you wouldn't bat an eye at Santa puffing on a Chesterfield. 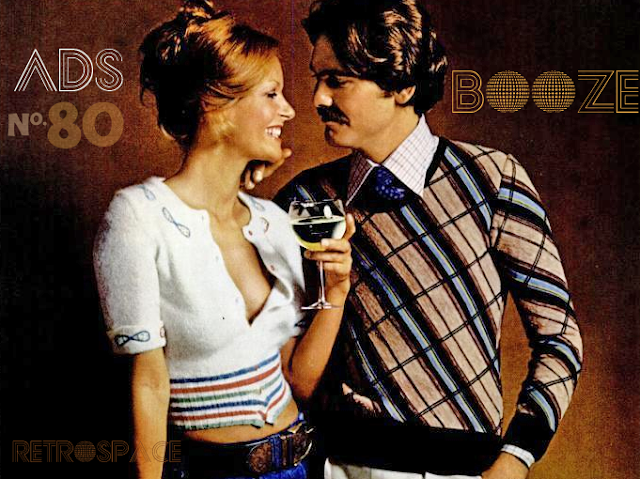 In fact, 1965 was the absolute peak in the United States with half of all men regularly smoking, and 33 percent of women! Cigarettes were even rationed to soldiers during both World Wars, and I distinctly remember game shows giving away armloads of cigarette cartons to contestants. 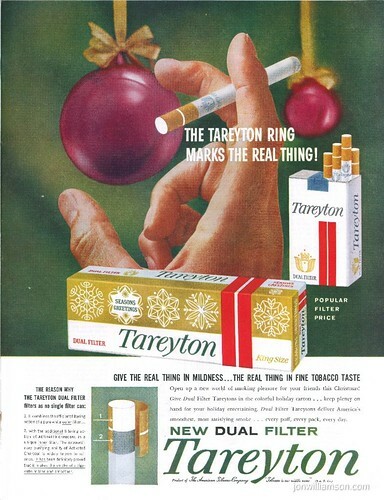 The classic study ("Smoking and Carcinoma of the Lung", British Medical Journal) which proved beyond all doubt that smoking was a serious health hazard came out in 1950, but it took a number of years for this information to wind up as a warning on the package and advertising on TV wasn't banned until 1970. It wasn't until 1994 that the 599 additives become public record. Don't ask me what the hell 2-Ethyl-1-Hexanol,3-Ethyl-2-Hydroxy-2-Cyclopenten-1-One is or what it does to you, but I'm sure it can't be good. 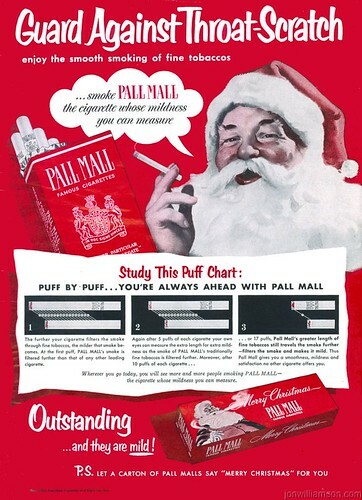 It's not the Santa cigarette ads that freak me out, however (after all, he's not that different than Joe Camel). 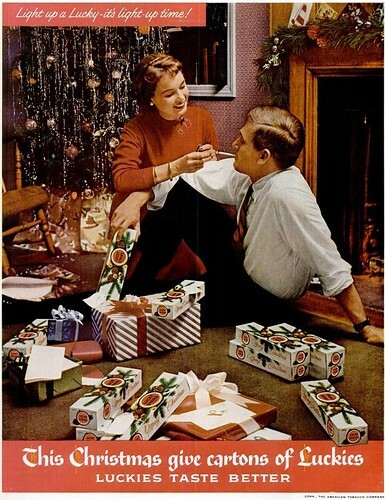 It's the ones which feature PILES of cartons in pretty holiday packages. 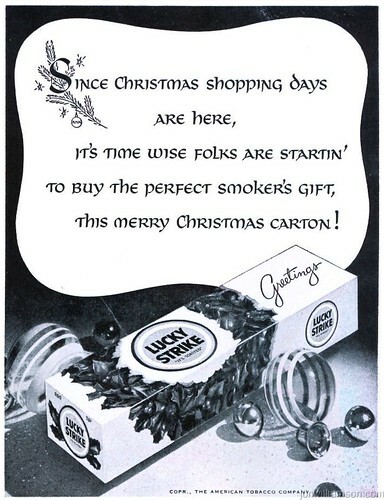 That's right - cigarette cartons were a popular Christmas gift! I smoked about a half a pack a day for a number years, but totally quit them about 6 years ago. It's miserable quitting, and I'd be lying if I said there weren't times when a cool drag from a cancer stick sounded quite good. 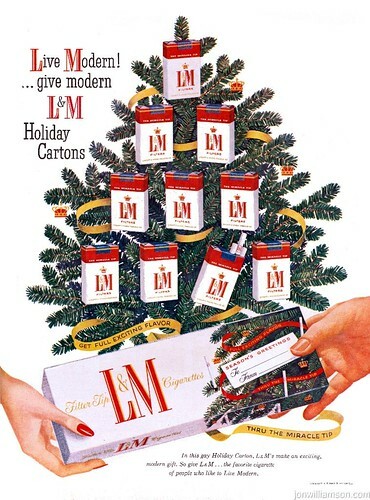 However, I can't say I was ever such a fan of cigarettes that I trimmed my Christmas tree with them. 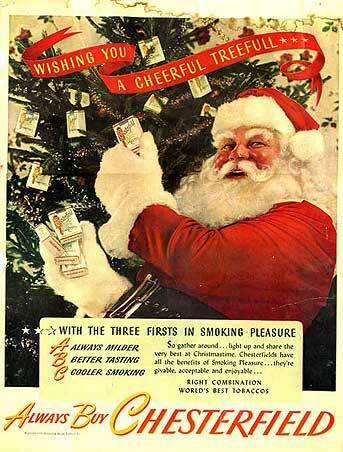 Evidently, Santa has traded in lights and ornaments in favor of near lethal doses of nicotine. Ho, ho, ho. Merry Chr--(cough)(hack)--istmas!! 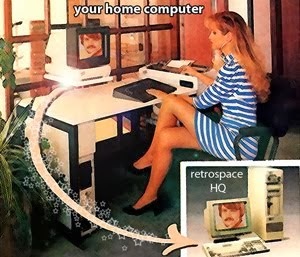 Hah - Yeah, times were certainly different then. 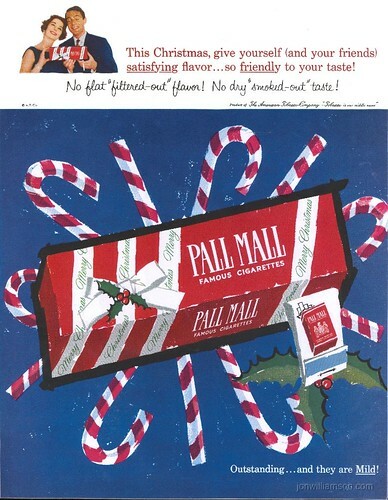 That Pall Mall ad brings me back, those were my mom's smoke of choice for a long time. 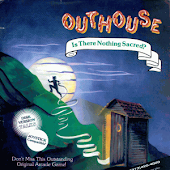 I love these ads. 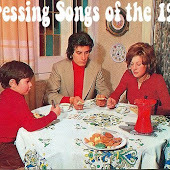 I posted some of these on Monday. Gotta love 'em. 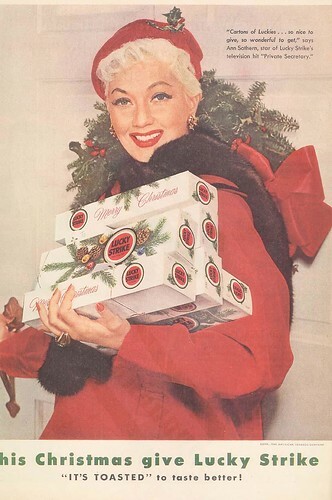 Great ads, I posted a couple of the Santa ones on my own blog a few weeks ago. Yowzers on the last one - tasting someone's dragon breath under the mistletoe is not on my list of fun holiday things to do. My dad and uncle, until they both quit for good well into the new millennium, always got cartons of cigarettes for Christmas.